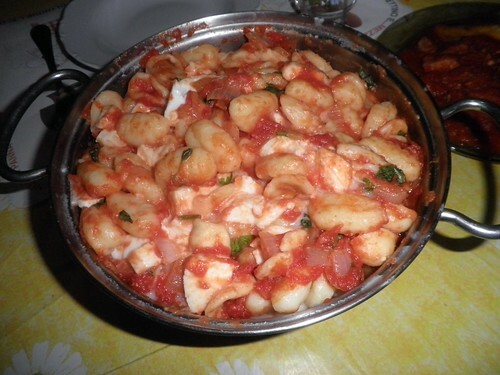 I made gnocchi (no, not from scratch, but it was good all the same and looked much more appetizing in real life). Somewhat related, the other day while talking to my roommate, I said that I have always theorized that one of the reasons Americans put on weight is because they eat too many preservatives. This conversation was in Italian and I took a guess that the word “preservitivo” was what I needed. I was wrong. Conservante is the word for preservative in Italian; preservitivo means condom. So, I argued that Americans are fat because they eat too many condoms. Oh Italian (fist shaking in the air).